You can probably tell that I am all about prints! I ADORE this printed fabric 🙂 The colours and all fussy flowers are divine. This is the second dress I made using the McCalls 6011 Pattern. 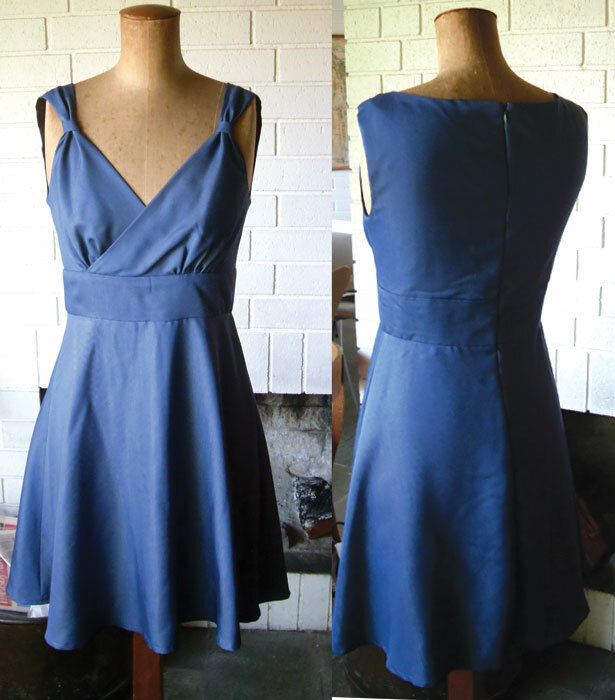 This dress is fully lined and the armholes are finished with bias binding made from the same fabric…unlike the Versatile Springtime Dress which I added the lining to, stitched the armholes and turned them inside out. Fabric: About 2 meters of lightweight cotton voile $12 per meter from Lincraft during a sale. This is the third time I have sewn with this pattern (McCalls 6011)! It is such an underrated pattern, I really recommend it! For this dress I omitted the sleeves and added these little things near the neckline to give the neckline a sweetheart effect. This style is so flattering on the curvy figure! Empathizes the bust and the skirt (which is cut on the bias) skims over the hips. It is rare I ever sew with a pattern where I don’t need to alter the fit, but this is one such case. It was $3 a meter during last years sales at Spotlight. It was lovely to sew with. I have started to line all my garments with lightweight cotton. Don’t know why I ever used that icky polyester lining! Amount of times worn: Once but thats because its been cold all spring up until now. Fitting notes: Excellent fit. LOVE this pattern! Anything you would change? 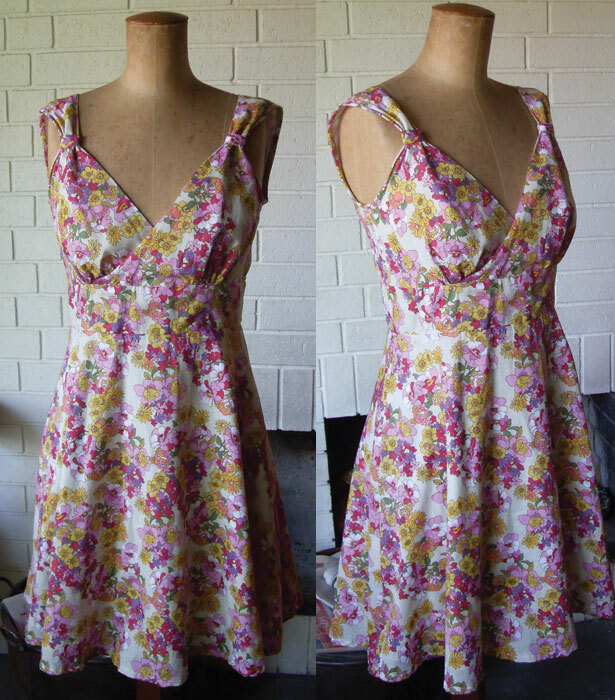 : I would put those little loops near the neckline on BEFORE I sewed up the shoulder seam.